Administrative Law Judge Susan Ruff, Office of Administrative Hearings (OAH), State of California heard this matter on June 5, 6, 7, 11, 12, 13, and 14, 2012, in Garden Grove, California. Tania Whiteleather, Esq., represented Student and his aunt (Student). 1 Student’s aunt was present during the hearing. Student was not present. S. Daniel Harbottle, Esq., represented the Garden Grove Unified School District (District). Lorraine Rae and Clark Osborne also appeared at various times on behalf of the District. 1 At the beginning of the hearing, Student’s aunt was his legal guardian. However, Student celebrated his 18th birthday during the hearing. After that, Student’s aunt was Student’s attorney-in-fact with the power to make educational decisions on his behalf. Because the events at issue in the instant case occurred prior to Student’s 18th birthday, his aunt will be referred to as his “Guardian” in the remainder of this Decision. a) Did the District deny Student a free appropriate public education (FAPE) at the individualized education program (IEP) team meeting held in June 2009 by failing to have appropriate credentialed staff in attendance at the meeting and failing to allow meaningful participation by Student’s Guardian at the meeting? b) Did the District deny Student a FAPE in the IEP of June 2009 by failing to create goals in all areas of identified need? c) Did the District deny Student a FAPE between June 2009 and June 2010 by failing to assess in all areas of suspected disability? d) Did the District deny Student a FAPE between June 2009 and June 2010 by failing to respond to Student’s Guardian’s requests for independent educational evaluations (IEE’s) in the areas of speech and language, psychoeducation, and central auditory processing disorder? e) Did the District’s offer of placement and services in the June 2009 IEP deny Student a FAPE for the extended school year (ESY) 2009 and the 2009/2010 school year because it was not based on an appropriate assessment or other current information and because the offered placement was inappropriate? f) Did the District’s proposed IEP of May 5, 2011, and June 23, 2011, offer Student a FAPE in the least restrictive environment? 2 To maintain a clear record, Student’s written closing argument has been marked as exhibit S-103. The District’s written closing argument has been marked as exhibit D-65. This case involves two distinct time periods: June 2009 through the end of the 2009– 2010 school year, and May–June 2011. In the first part of this case, Student contends that the District’s IEP offer made on June 18, 2009, denied Student a FAPE on that day and for the rest of the school year. Student contends that the District failed to fully assess Student, which led to inadequate present levels of performance and goals in the proposed IEP. Student also contends that the District did not have appropriately credentialed staff at the IEP meeting, did not permit meaningful participation by Student’s Guardian during the meeting, did not respond to Student’s requests for IEE’s, and did not offer an appropriate placement in the proposed IEP. The District contends that it was unable to fully assess Student or have updated present levels of performance at the IEP meeting because of the delays and lack of cooperation by Student’s Guardian and Student’s private educational provider. The District contends that it had appropriately credentialed personnel at the meeting and made an appropriate offer of FAPE based on the information it had at the time. As will be discussed below, many of the issues related to the first part of the case were already resolved in prior litigation between the parties. To the extent that the issues were not decided, Student has failed to meet his burden to show a denial of FAPE by the District. The second part of the case involves the District’s due process filing to defend its June 2011 IEP offer. The District contends that its IEP was procedurally and substantively appropriate given the information the District possessed at the time the offer was made. Student contends that the District failed to assess Student in the area of anxiety or create goals for Student’s 2011 IEP related to anxiety. Student also contends that the District’s proposed IEP did not have adequate baselines for the communication goals, did not have a complete transition plan, failed to include an accommodations/modifications section, and proposed an inappropriate placement. Student also contends that the District failed to give Student’s Guardian an opportunity to meaningfully participate in the IEP process. This Decision finds that the District’s proposed June 2011 IEP offered Student a FAPE both procedurally and substantively at the time it was made. Before any Factual Findings can be made in this case, there is a threshold legal issue that must be decided. Both parties asked the ALJ to take official notice of the prior litigation between these parties. Both requests for official notice were granted on May 31, 2012. The District contends that the prior litigation precludes consideration of several of the issues raised by Student regarding the 2009 IEP. Student disagrees and believes that it is appropriate to litigate those issues. The litigation between the parties to this case goes back to at least 2007. Student filed a request for due process against the District in OAH case number N2007080547. On June 24, 2008, OAH issued a decision in that case, finding in favor of Student on some of the issues. Student disagreed with the remedy awarded by OAH and appealed the decision to federal court. On October 5, 2009, the United States District Court for the Central District of California, in case number SACV 08-1047 RSWL (CWx) reversed the OAH decision in part and awarded full reimbursement to Student. 5) Failing to include the amount of time Student would spend in General Education (GE) and an appropriate explanation why a Special Day Class (SDC) was more appropriate in the offer of placement in June, 2007. Whether the District complied with procedural requirements of state and federal law when it failed to timely complete assessments of [Student] and when it failed to timely hold IEP’s to review those assessments. Whether the District, which has now requested that assessments be done in 2009, has provided [Student’s] aunt with a new assessment plan for her review and signature. Whether the District has provided [Student] and his aunt, in response to multiple written requests, copies of all requested educational records. Whether the actions of the District, in denying [Student] procedural and substantive FAPE, have resulted in a denial of his rights under Section 504 and ADA. May 14, 2009: 8:30 a.m. – 10:00 a.m. Speech & Language assessment at Cook Elementary. Those two assessments were the only assessments called for in the settlement agreement. On April 28, 2010, Student filed a request for a due process hearing in OAH case number 2010041542. The issue in that case was as follows: “Did District deny Student a free and appropriate public education (FAPE) by failing to hold his annual individualized education program (IEP) meeting and make an offer of placement and services, for the time period of May 16, 2008 through June 17, 2009?” The District, among other things, raised the defense that it was unable to hold a meeting prior to June 18, 2009, because of obstruction of the assessments and IEP process by the Guardian and Student’s private educational provider Reading and Language Center (RLC). On September 23, 2010, OAH issued a decision in OAH case number 2010041542. The decision denied Student’s claim for relief, finding that the District had not denied Student a FAPE by failing to hold an IEP team meeting for Student between May 2008 and June 17, 2009. The OAH decision held that, although the District did not complete Student’s IEP prior to June 18, 2009, the District’s actions were excused because of the actions of Student’s Guardian and RLC. Here, while the IDEA required District to have an IEP in place for Student prior to the commencement of the 2008-2009 school year, the evidence showed that, despite District’s reasonable efforts to assess Student, convene an IEP meeting, and make an offer of placement and services, Guardian significantly impeded the assessment and IEP process to such a degree that, not only did she make it impossible to both assess and convene an IEP meeting prior to the commencement of the 2008-2009 school year, but she also obstructed the process throughout the remainder of the 2008-2009 school year. Similarly, District cannot be held liable for not developing an IEP and making an offer of placement and services during the remainder of the 2008-2009 school year. In addition to the actions taken by Guardian prior to the commencement of the 2008-2009 school year, the evidence showed that Guardian continued to obstruct and delay the assessment and IEP process during the rest of the 2008-2009 school year. There are, however, some facts that the OAH Decision relies on in its legal analysis that were discussed in the Case 166 3 due process complaint, and thus should not have been considered by the ALJ. Because the Settlement purports to resolve “all differences, disputes, and controversies existing between the Parties,” the facts alleged in the Case 166 due process complaint should not have been relitigated in the OAH Decision. Accordingly, the Court does not consider the ALJ’s discussion of District’s attempts to schedule Student’s assessment meetings, Guardian’s transportation problems with respect to the assessment meetings, District’s failure to hold an IEP meeting within sixty days of Guardian accepting Student’s assessment plan, or delay to the IEP meeting intended to review Student’s assessments pursuant to the May 15, 2008 assessment plan. For the foregoing reasons, the Court finds that the record supports the ALJ’s decision to deny Student’s request for relief. Guardian’s conduct relieved the District of its obligation to have [an] IEP in place for Student at the beginning of the 2008-2009 school year. Throughout the relevant time period, District made good faith efforts to develop and implement [an] IEP for Student, but Guardian failed to cooperate with District. Even if the District’s failure to implement an IEP before the beginning of the school year constitutes a denial of FAPE, the balance of equities militates in favor of the District, given the District’s efforts to guarantee Student’s FAPE. On December 22, 2010, the District filed a due process request seeking to defend its June 2010 IEP offer, in OAH case number 2010120784. On October 7, 2011, OAH issued a decision in that case, finding that the District’s June 2010 proposed IEP offered Student a FAPE in the least restrictive environment. the party against whom preclusion is sought must be in privity with the party to the former proceeding. In the instant case, the fifth factor is not an issue –these are identical parties, both of whom had a full and fair opportunity to litigate all issues of the prior cases. Likewise, the fourth factor has also been met –the prior administrative and federal cases were final decisions and decided on their merits. Therefore, it is necessary to look at the issues alleged in the instant case to see if they were litigated and decided in the prior proceedings. 4 In his closing argument, Student argues that Student’s Guardian and RLC did nothing to obstruct the IEP process from May 7, 2009 (the date of the settlement agreement) to June 18, 2009. However, the decision in OAH case number 2010041542 decided these issues through and including June 17, 2009, not the earlier May 7, 2009 settlement date. Because the District’s defense has already been ruled valid, there was no denial of FAPE based on the failure to have individuals from RLC present at the June 18, 2009 IEP team meeting. 5 Extensive Factual Findings regarding RLC’s conduct were already made in the prior litigation. There is no need to make any new Factual Findings on this issue. Any new Factual Findings in this regard would defeat the policies behind collateral estoppel, by raising the specter of inconsistent judicial findings and would force the District to relitigate an issue that was already decided. 5 Nothing in this Decision is intended to imply that individuals from RLC were required members of the IEP team or that the failure to have them present would have constituted a denial of FAPE. It is unnecessary to decide this issue because of collateral estoppel. To the extent that Student’s first issue deals with the credentials of the District staff who attended the meeting or participation by Student’s Guardian, those issues are not precluded by the prior litigation. Those issues will be addressed in this Decision. Student’s third issue alleges a denial of FAPE between June 2009 and June 2010 because the District failed to assess in all areas of suspected disability. The appropriateness of the District’s assessments prior to the June 18, 2009 IEP meeting was decided by the May 7, 2009 settlement agreement in OAH case numbers 2009020458 and 2009040166. The federal court recognized that fact in its discussion of OAH case number 2010041542 (quoted above) and determined that Factual Findings regarding the assessments were not necessary. The decision in OAH case number 2010041542 covered the time period up to and including June 17, 2009. The settlement agreement explicitly permitted only two assessments. Having entered into a settlement agreement regarding assessments, Student is precluded from raising the failure to conduct other assessments up to and including the date of the June 18, 2009 IEP meeting. Student’s fourth issue alleges that the District denied Student a FAPE by failing to respond to the requests for IEE’s in the areas of speech and language, psychoeducation, and central auditory processing. As will be discussed in the Factual Findings below, the written request for IEE’s was made in the Guardian’s comments attached to the June 18, 2009 IEP. Any request for an IEE based on the District’s psychoeducational assessment was barred by the settlement agreement. The requests for IEE’s based on the speech and language assessment and auditory processing assessment (to the extent that the assessments took place after the date of the settlement agreement) will be addressed below. 6 At the time of the due process hearing, the District attempted to preclude introduction of evidence based on collateral estoppel. The District argued that it should not have to relitigate the prior cases. At the time of the hearing, it was not clear to what extent the issues decided in the prior cases would affect the instant case. The ALJ denied the District’s request to exclude evidence, but permitted the parties to provide the administrative record from the prior case (OAH case number 2010041542) rather than calling the witnesses to testify a second time. The ALJ also asked the parties to provide specific citations to the administrative record that the parties believed were relevant to the issues in the instant case. Because the ALJ ultimately determined that the issues decided in the prior case precluded consideration of those issues again in the instant case, there was no need for the ALJ to review the record from the prior case in writing this Decision. However, that prior administrative record will be maintained as part of the record in the instant case so it will be available to a reviewing court in the event of an appeal of this Decision. However, there is no issue preclusion based on OAH case number 2010120784 even though official notice was taken of that decision. The OAH decision holding that the District’s 2010 IEP offer constituted a FAPE for Student does not affect or preclude any of the issues regarding the proposed 2011 IEP. A pupil’s needs may change within a year and every IEP offer must be evaluated in terms of the time it was made. For the same reason, the federal court’s findings regarding the 2006/2007 IEP in case number SACV 08-1047 RSWL (CWx) and the District’s failure to offer a FAPE at that time do not affect or preclude any of the issues regarding the 2009 or 2011 IEP’s. 3. At the time of the March and June 2009 IEP meetings, Student was attending class at the Reading and Language Center (RLC). This was a private placement by Student’s Guardian and was not a placement called for in a District IEP. Student’s program at RLC consisted of one-to-one instruction. 7 As stated above, the prior litigation and prior settlement agreement between these parties addressed issues up to and including June 17, 2009. In addition, because Student’s current due process case was filed on June 15, 2011, any issues arising before June 15, 2009, would be barred by the two-year statute of limitations. (Ed. Code, § 56505, subd. (l).) Therefore, any Factual Findings made herein regarding time periods prior to June 18, 2009, are solely for background to explain events which occurred on and after June 18, 2009. 4. At the March meeting, the school psychologist reviewed her triennial psychoeducational assessment report, and the team discussed the assessment. Student’s Guardian and Student’s advocate asked questions and provided input during the review. The District’s intensive behavior instruction (IBI) program supervisor reviewed her report, and the team discussed Student’s behavioral needs. Student’s Guardian reported that Student had been involved in social skills training once a week with a private agency. The resource specialist, adaptive physical education specialist, the occupational therapist, and the school nurse reviewed their assessments and reports, and the IEP team discussed those reports. Student’s Guardian and educational advocate participated in these discussions. Student’s Guardian reported to the IEP team that Student participated in team sports. During the hearing, the Guardian explained that the team sports were organized by a group called Spirit League and involved both disabled and nondisabled youths. It was discussed that the speech pathologist has not had the opportunity to complete her assessments, nor has the audiologist been given the opportunity to complete her screening. New dates were requested of the guardian. The advocate indicated that it is their position that the current assessment plan is out of date. They are not agreeing to allow GGUSD to complete the assessments agreed upon in May 2008. Guardian expressed that she has provided opportunity for assessments to occur. District’s position is that it has not been given ample opportunity to complete it’s [sic] assessments. We disagree with the District’s IEP process & the meeting notes – we do not agree for no general educ. teacher to be here & we disagree w/ No one from the NPA participated (RLC) in this meeting – (from RLC). We disagree with the Academic, Psych, APE & IBI (behavioral) assessments & we request IEEs. 7. On May 7, 2009, the parties entered into a settlement agreement in OAH case numbers 2009020458 and 2009040166 regarding assessments. Those two cases and the settlement agreement are discussed above in connection with collateral estoppel. 8. The terms of the settlement agreement permitted the District to conduct an audiological screening of Student on May 12, 2009, and to complete its speech-language assessment on May 14, 2009. Those were the only two assessments permitted by the settlement agreement. The District subsequently conducted those two assessments in accordance with the agreement. 8 It is unnecessary to make Factual Findings regarding RLC’s responses to the District request for RLC’s attendance at an IEP meeting in June. As discussed above on pages 3 – 9, the District’s defense regarding RLC’s ongoing lack of cooperation with the District’s IEP process was addressed and determined in the prior litigation between the parties. There was no denial of FAPE based on the District’s failure to have RLC at the June 18, 2009 meeting. 10. At the outset of the June 18, 2009 IEP meeting, the District staff members in attendance included a general education teacher from the elementary school that Student last attended before he began his private placement at RLC. At some point during the meeting, the school principal, assistant principal and an eighth grade general education teacher from Jordan Intermediate School also attended the meeting. According to the testimony of Student’s Guardian, the eighth grade general education teacher left the IEP meeting prior to the discussion of placement. All other statutorily required individuals attended the meeting. 11. Among the District attendees at the meeting were Special Education Teacher Diane Peterson and IBI Program Specialist Sara Morgan. Ms. Peterson testified that her mild-moderate credential authorizes her to teach pupils with autism. Ms. Morgan also holds a mild-moderate special education credential. She has extensive training and experience in addressing the needs of pupils with autism. Their undisputed testimony was sufficient to establish that they had the credentials and qualifications to teach children with autism. 12. Student’s Guardian and attorney were active participants at all stages of the meeting. The recording of the IEP meeting evidenced continual participation by Student’s Guardian and the attorney, including questions, comments, requests for clarification and other input throughout the meeting. 9 The District IEP team members were responsive to those questions and considered the comments and suggestions. 9 The IEP recording was entered into evidence at the hearing. At the ALJ’s request, Student designated portions of the IEP recording that Student believed were relevant to the issues in this case. The ALJ focused on those portions of the recording in writing this Decision, but also listened to the entire recording which was submitted into evidence. In both the portions designated by Student and in the full recording, Student’s counsel (who is a highly experienced and capable special education attorney) was very active in making comments and asking questions throughout the meeting. The District IEP team members were responsive to counsel’s questions and comments. At no point during the meeting was Student’s Guardian or Student’s counsel denied the ability to participate in the discussion. 13. At some point during the meeting, the District staff made an offer of FAPE for Student, including an offer of placement in a special day class (SDC), except for physical education (PE), which would be in a general education class with typically developing peers. (The details of the District’s offer will be discussed below.) According to the District witnesses who testified at the hearing, the District staff anticipated that a discussion regarding that placement proposal would then follow. 14. However, that did not happen. Student’s attorney objected to the placement offered, questioned the District staff about who made the placement determination, and challenged the District staff for making a proposal for placement before holding a discussion regarding placement with the Guardian. There was no evidence at hearing that the District prevented Student’s Guardian or attorney from discussing placement after the initial placement proposal was made. There was no evidence that the District staff presented the proposed placement as a “take-it-or-leave-it” offer. To the contrary, when Student’s counsel politely but firmly insisted that the District had made the placement determination without discussion, Mr. Adams pointed out, “We’re discussing it right now.” Mr. Adams testified that, if Student’s Guardian had expressed a preference for placement, the District staff would have listened and considered that proposal. 17. For example, speech-language pathologist Marianne Merito’s testing of Student as part of her speech and language assessment was spread out over such a long period of time that she was unable to determine present levels of performance related to speech and language at the time of the June 2009 meeting. She gave input to the IEP based on the information she possessed as of June 2009. 10 As discussed in pages 3–9 above, the decision in OAH case number 2010041542 determined that those delays were due to the actions of Student’s Guardian and RLC, not any neglect by the District. 18. Similarly, Ms. Peterson had administered the Woodcock-Johnson Tests of Achievement to Student on two days in June and October 2008. Because of the delays in the assessment and IEP process, part of that testing information was a year old at the time of the June 2009 IEP meeting. Ms. Peterson did not have current information on Student’s academic present levels of performance at the time of the June 2009 IEP meeting. 19. Mr. Adams testified that the District relied on the assessment information it had at the time of the June 18, 2009 IEP meeting, some of which was based on testing and observations conducted in 2008. The District intended to hold a 30-day follow-up IEP meeting to update present levels of performance once Student began attending school in the District’s program. The District staff would use those 30 days to conduct benchmark performance testing to update Student’s present levels of performance. 21. In addition to the present levels of performance, the District staff based the proposed goals for Student’s IEP on the information they had at the time of the meeting, including the 2008 assessment information and the new assessments permitted by the May 2009 settlement agreement. 22. The proposed IEP contained goals in the areas of reading comprehension, math, written communication, pragmatic language/peer social conversation, and goals related to socialization (initiating conversation, listening, and following social rules). In each case, the goals’ baselines were derived from the information the District had available at the time of the meeting. 25. The testimony of the District witnesses also confirmed that the District staff hoped to update the goals at the IEP meeting held 30 days after Student began attending school in the District once again. In the meantime, they drafted the goals based on the information they had available. 26. Some of the goals in the proposed IEP had ending dates that were shorter than a full year. For example, the academic goals were drafted to be completed by December 2009. Ms. Peterson explained that the District had been attempting to hold IEP meetings earlier than June 2009, and had drafted year-long goals starting with the date of an earlier proposed IEP meeting. However, delays in the IEP process prevented the meeting from being completed until June 2009. Ms. Morgan testified that the goals she drafted had time periods shorter than one year for the same reason. 27. The proposed IEP did not contain a goal related to anxiety. The parties dispute whether an anxiety goal was required in Student’s June 2009 IEP. 28. Student suffers from some amount of anxiety. He takes medication related to anxiety. Barbara Pliha, who has worked one-to-one with Student at various times since 2007 either as an employee of RLC or at Pliha Speech and Learning Center (PSLC), described Student’s symptoms of anxiety as tapping his leg, moving around in his seat or blinking his eyes. She said that Student worried about things such as his accuracy, his homework, and his educational performance. His worries distracted him and made it difficult for him to concentrate on school work. In her opinion, Student’s anxiety affected his education. 29. During her one-to-one sessions with Student, Ms. Pliha would address Student’s anxiety using common sense sensitivity techniques such as pacing his lessons, encouraging him, and telling him to take a deep breath and relax. Even on days when she described him as quite anxious, she was still able to address his anxiety through common sense techniques such as taking an early break or changing tasks. She explained that even on his bad days, he would not have a “total melt-down” or similar conduct. There was no evidence that Ms. Pliha or RLC ever implemented a goal for Student related to anxiety. When asked whether she thought Student needed a goal to address his anxiety in June 2009, Ms. Pliha responded that it would not be in her area of expertise to develop a goal for anxiety for Student. 30. Mai Van, the District school psychologist who assessed Student as part of the triennial assessment that was at issue in OAH case numbers 2009020458 and 2009040166, agreed that Student had problems with anxiety. She explained that he was a pupil who liked to know beforehand where he was going to be, who he was going to see and what activities he would undertake. When she was assessing him, he had a squish ball that he would squeeze when he became nervous about an activity. The District’s Offer of FAPE in the June 18, 2009 Proposed IEP. 32. The services offered in the IEP included: 1) specialized academic instruction in a mild-moderate special education classroom for 1550 minutes per week; 2) group speech and language services two times a week for 30 minutes per session; 3) individual speech and language services provided by a nonpublic agency (NPA) for one 60-minute session per week; 4) individual OT services provided by an NPA for one 45-minute session per week; 5) adaptive physical education monitoring of Student’s general education PE class for 30 minutes per month; and 6) behavior intervention services provided in the IBI clinic consisting of four sessions a week, 120 minutes per session, for a total of 480 minutes a week. The IEP also offered ESY services which were similar, but in a reduced amount. 33. As stated above in Factual Finding 32, the proposed placement in the IEP called for Student to be in a mild-moderate special education classroom for all subjects except PE, which would be in a general education classroom. The District’s offer also anticipated that Student would have access to typical peers during nonacademic and extracurricular activities, such as recess, lunch, assemblies and similar activities. 34. Student contends that the proposed placement was not the least restrictive environment appropriate for Student as of June 2009. Student’s Guardian was concerned about a placement that put Student in an SDC for all of his school day. 35. The educators who testified at hearing felt that a smaller setting would be appropriate for Student’s academic classes. Mr. Adams testified that the District proposed the SDC placement with general education PE because they thought Student could be successful in that setting. They wanted to review the placement after 30 days to see how he was doing. 36. Ms. Morgan agreed that the District’s placement offer was appropriate based on what the District knew at the time of the meeting. Like Mr. Adams, Ms. Morgan also wanted to observe Student in the District’s proposed placement for 30 days to see if any changes needed to be made. 37. In Ms. Morgan’s opinion, relying on the assessments and information the District had available at the time of the IEP meeting, the smaller class size and higher support of an SDC class would be appropriate for Student. Based on Student’s history of being dependent on a one-to-one aide while at the District and his more recent history of being in the very small, one-to-one setting at RLC, Ms. Morgan felt that Student would benefit from a smaller environment because that was what he was used to. She also felt he would benefit from having more adults in the room to support him during his times of need. 39. Kiersten Hodson, an adaptive physical education (APE) teacher who had assessed Student and attended the June 18, 2009 IEP meeting, opined that Student did not need APE, but could be in a general education PE class. She proposed that the IEP provide monitoring of Student’s PE class by the APE teacher. 40. Ms. Peterson, in addition to her 2008-2009 assessment of Student, was familiar with Student from when he had last attended a District school in the fifth grade. She explained that Student had problems with the pacing of his fifth grade class, and the District staff had been concerned that he was becoming dependent on his one-to-one aide. During the hearing, she expressed concerns about his one-to-one instruction at RLC. When she observed Student at RLC, he seemed to rely a lot on the one-to-one instructor. She was also concerned about his lack of interaction with peers in the one-to-one setting. 41. The District witnesses were highly persuasive on this issue. As will be discussed in the Legal Conclusions below, the District’s proposed placement was the least restrictive environment appropriate for Student at the time of the June 18, 2009 IEP meeting. Student’s Dissent to the Proposed IEP and Request for IEE’s. 42. Student’s Guardian did not agree to the IEP proposed on June 18, 2009. She made her disagreement known during the meeting and in writing on the IEP itself. The District has refused to provide [Student’s Guardian] with an assessment plan for a new assessment. In order to determine an appropriate FAPE for [Student], including his present levels, we are asking for a complete IEE in psychoed, speech and language, IBI, and CAPD [central auditory processing disorder]. Without discussion, Scott Adams made an offer for placement and services and stated that the District made that decision. 46. The attachments to the IEP also included letters written by Student’s Guardian and RLC. The testimony of Student’s Guardian during the hearing presented similar objections to the IEP process. 46. On June 19, 2009, Student’s Guardian sent a letter to the District rejecting the proposed IEP, with the exception of OT services. She gave notice that she would be placing Student in a private educational program and would seek reimbursement from the District. 47. There was no evidence presented at hearing that the District responded to the request for IEE’s made by Student’s Guardian in her comments/attachments to the June 18, 2009 IEP. 48. On December 18, 2009, the District sent a letter to Student’s Guardian which discussed the need for updated information prior to the next IEP meeting. The letter requested that Student’s Guardian sign a release of information to allow the District to obtain information from Student’s private educational provider and proposed IEP meeting dates in February 2010. The letter enclosed a proposed release of information for Student’s Guardian to sign. 12 Because, as discussed below, Student’s claims for relief are dismissed, there is no need to make Factual Findings regarding the specific amount of money Student’s Guardian incurred in providing Student with private educational services in 2009–2010. 51. In May and June 2010, Student’s IEP team met to draft an IEP for Student for the 2010 – 2011 school year. At the time of the meetings, Student was still receiving one-toone education at PSLC. The parties were unable to agree upon an IEP during those meetings and the District made the following offer: 1) specialized academic instruction in an NPS for six hours a day, five days a week (for a total of 1800 minutes) at the Speech and Language Development Center in Buena Park (Buena Park); 2) two 30-minute sessions per week of group speech and language services provided by Buena Park; 3) one 30-minute session per week of individual speech and language services provided by Buena Park; 4) one 45-minute session per week of individual OT services provided by Buena Park; 5) four 30-minute OT consultation sessions per year provided by Buena Park; and 6) one 30-minute session per week of counseling and guidance services provided by Buena Park. The IEP also provided for ESY services that were similar to the school year services, but at a reduced amount. 52. On December 22, 2010, the District filed a due process request in OAH case number 2010120784 seeking to defend its June 2010 offer. On October 7, 2011, OAH issued a decision in that case, finding that the District’s June 2010 proposed IEP offered Student a FAPE in the LRE. 53. Student continued to receive one-to-one education at his Guardian’s expense at PSLC during the 2010–2011 school year. As of the time of the June 2011 IEP meeting, Student had not been taught in a public school classroom with other pupils since he was in fifth grade in approximately 2007. He had never participated in a public or private high school classroom with other pupils; all of his high school academic instruction had been given in a one-to-one setting. At the time of the June 2011 IEP meeting, he had never earned any credits toward a high school diploma. 13 According to Ms. Pliha’s testimony, PSLC has prepared a report card for a pupil on only one occasion. The report card was prepared for Student recently (after the time periods at issue in the instant case). He has been receiving direct academic instruction and speech therapy for a total of 4 hours per day, 5 days a week for the 2009-2010 and 2010-2011 school years. Currently his weekly academic program consists of 10 hours of language arts (writing, reading comprehension, vocabulary development) instruction, 4 hours of math instruction, 3 hours of social studies/science instruction, and 3 hours of speech therapy. The academic curriculum is based on the California State Standards. 56. Ms. Pliha is a licensed speech-language pathologist and credentialed teacher. She received her bachelor’s degree in education from the University of California, Los Angeles in 1965, her master’s degree in education from California State University, Fullerton in 1987, and her master’s degree in communicative disorders from the same university in 1989. She has worked as a teacher and reading specialist for school districts in the past. She has also been trained in various methodologies related to reading, including Lindamood-Bell. Prior to starting PSLC, she was a director at RLC. 57. On April 29, 2011, Brian Ball, a program supervisor for the District, sent a letter to Ms. Pliha regarding an upcoming IEP meeting set for May 5, 2011. In the letter he asked Ms. Pliha, among other things, to review the eight annual goals proposed for the 2010 IEP so she would be able to report on Student’s progress and present levels of performance in each of the areas at the IEP meeting. He also asked her to propose new annual goals for Student. 58. Mr. Ball received his bachelor’s degree in English literature from the University of California, Santa Barbara in 1994, and his master’s degree in special education from National University in 2002. He holds teaching credentials, including a mild-moderate special education credential, and has taught both general education and SDC classes. In your letter you list goals created at [Student’s] June 2010 IEP meeting and state I am to provide an update of these goals at the upcoming May 5, 2011 IEP. I am glad to provide input on [Student’s] present levels of performance and his areas of unique needs, as well as collaborate with the IEP team on new goals and discuss the past goals at the upcoming IEP meeting. 60. On May 2, 2011, Anne Fleck, a private occupational therapist, prepared a progress report regarding Student’s OT services. Student had been receiving OT services for 45 minutes one time a week for the year prior to the report. Ms. Fleck’s report recommended that Student continue OT services at that same rate and have classroom consultation three times a year for 30 minutes per session. She also recommended an OT goal for Student regarding handwriting. 61. In May 2011, Michael Keller, Ed.D., a school psychologist for the District, conducted an Academic Achievement Update and prepared a report dated May 20, 2011. The purpose of the update was to provide information to the IEP team regarding Student’s present levels of performance. At the time of Dr. Keller’s testing, Student was 16 years and 11 months old. 62. Dr. Keller is a licensed educational psychologist, credentialed school psychologist, and a behavior intervention case manager. He received his bachelor’s degree in psychology in 1998, his master’s degree in counseling in 2000, and his doctor of education degree in 2009. At time of Student’s June 2011 IEP meeting, he was working as a school psychologist on special assignment for the District. He is currently a program supervisor for the District. 63. As part of the Academic Achievement Update, Dr. Keller administered the Woodcock-Johnson Tests of Achievement – Third Edition (WJ-III) to Student. The WJ-III is a nationally-normed, standardized test of basic academic skills. Student’s standard score in total achievement was 89, in the average range. His scores on the subtests were scattered, with a very high score in math fluency and low scores in writing and applied problems. 64. On May 5, 2011, Student’s IEP team met for Student’s annual IEP. The individuals in attendance at the meeting included Student’s Guardian and both Student’s attorney and Student’s educational advocate. The attendees from PSLC included Ms. Pliha, John Bell, an instructor at PSLC, and Joyce Kurtz, a speech-language pathologist who worked for PSLC. Other attendees included District Program Supervisor Brian Ball, District Program Supervisor Susan Blanchard, Speech-Language Pathologist Greg Roberson, Assistant Principal Orsi Justice, General Education Teacher Rebecca Young, Occupational Therapist Anne Fleck, School Counselor Ngoc Bui, School Nurse Lily Perry, APE teacher Kiersten Hodson, School Psychologist Michael Keller, IBI Program Specialist Sara Morgan, Special Education Teacher Baldwin Pedraza, and the District’s legal counsel. Student did not attend the meeting, although the District had invited him to the meeting. 65. During the meeting, Dr. Keller presented his assessment. The team discussed Student’s needs, present levels of performance and possible goals. Ms. Pliha, Student’s Guardian and Student’s legal counsel participated in these discussions. Ms. Pliha, in particular, was an active participant in the discussions regarding goals. 14 During the hearing, Student stipulated that the 2011 IEP was timely convened. Student also stipulated that Student agreed with the eligibility categories in the IEP and the offer of PE in a general education classroom. Therefore, there is no need to make Factual Findings regarding these issues, except as they relate to other matters still at issue in the District’s offer. 66. On May 19, 2011, Student’s Guardian signed a release permitting Mr. Roberson to exchange information with Ms. Pliha for the purpose of updating Student’s present levels of performance and areas of need regarding speech and language. Student’s Guardian wrote at the bottom of the release that Student’s advocate Chris Russell was “to be included in the exchange of information….” On May 19, 2011, Student’s Guardian signed an assessment plan for an APE assessment of Student. 67. In June 2011, Ms. Hodson performed an APE assessment and prepared a report. She concluded that, although Student demonstrated a weakness in the area of physical fitness, he did not require APE services at that time. 68. Ms. Pliha also assessed Student prior to the June 2011 IEP meeting. During the hearing, Student’s Guardian explained that Ms. Pliha conducted the assessment because of a concern that the scores on the District’s assessment were lower than expected, given what Ms. Pliha saw during her one-to-one work with Student. 69. Ms. Pliha conducted a speech-language assessment and prepared a report dated June 5, 2011. She administered the Peabody Picture Vocabulary Test-4A, the Expressive Vocabulary Test, Second Edition, and the Clinical Evaluation of Language Fundamentals-4. Ms. Pliha concluded that Student required “intensive speech-language therapy to improve auditory comprehension, reasoning and social communication skills.” She recommended that he receive three 55-minute sessions of individual speech therapy per week and one or two 55 minute sessions per week of social skills group language therapy. 71. Ms. Pliha testified that, after reviewing her own assessment results, she was concerned because Student’s scores had gone down. At the time, Student was reporting that he had headaches. Later, it was discovered that Student was suffering from a very serious medical condition as a result of one of the medicines he was taking. In Ms. Pliha’s opinion, the medical condition might have interfered with his test scores. However, that information only came to light after the June 2011 IEP meeting. At the time of the June 2011 IEP meeting, Ms. Pliha did not know why Student failed to demonstrate the progress she thought he had made. 72. On June 17, 2011, Mr. Ball sent a letter to Student’s Guardian which, among other things, provided copies of three of the draft goals discussed at the May 5, 2011 IEP meeting. 73. On June 21, 2011, Student’s Guardian sent a return letter in which she, among other things, enclosed a copy of Ms. Pliha’s June 5, 2011 speech and language assessment report and June 8, 2011 written language assessment report. 74. The IEP team met to complete the 2011 IEP on June 23, 2011. The individuals in attendance at the meeting included: Student’s Guardian and Student’s Advocate Mr. Russell, Ms. Pliha, Mr. Bell, Mr. Ball, Ms. Blanchard, Mr. Roberson, Ms. Justice, Ms. Fleck, Ms. Perry, Ms. Hodson, Dr. Keller, Ms. Morgan, Mr. Pedraza, a school counselor, a general education teacher, and the District’s legal counsel. 75. The team discussed Student’s health issues and reviewed his medication. At the time of the IEP, he was taking medication related to anxiety. Ms. Hodson reviewed the results of her APE assessment. She explained that, in her opinion, Student’s needs related to gross motor skills could be addressed in a general education PE classroom. 76. The team discussed Student’s OT needs and Ms. Fleck reviewed the results of her OT assessment. Ms. Pliha discussed her two assessments, and explained that Student did not do as well as she had expected based on what she had seen during her daily work with Student. Student’s Guardian mentioned Student’s headaches, but as stated above in Factual Finding 71, at the time of the meeting, no one was aware of Student’s serious health issue. 77. Student’s Guardian and the advocate participated in the meeting. At no time did the District team members prevent them from participating in the discussion. Student’s Guardian did not receive a complete copy of the proposed IEP at the end of the meeting, but a copy was provided to her counsel the next day. She ultimately agreed to parts of the IEP (such as OT services by Ms. Fleck), but rejected most of it. 78. During the June 2011 meeting, the IEP team discussed proposed goals. Ms. Pliha participated in that discussion and suggested changes to the goals. For example, Ms. Pliha asked that “word problems” be added to the goals relating to math. 79. The District’s June 23, 2011 IEP offer contained the following goals and objectives: 1) an applied math goal relating to single-step word problems; 2) a math goal relating to multiple-step word problems; 3) a written communication goal regarding independently generating a three paragraph portion of an essay; 4) a reading comprehension goal requiring Student to make predictions, compare and contrast, and distinguish between cause and effect; 5) a reading comprehension goal calling for Student to distinguish the main idea and supporting details in an expository text; 6) a vocabulary goal; 7) a fine motor/handwriting goal; 8) a pragmatic communication goal relating to understanding emotion, body language and facial expressions; 9) a pragmatic communication goal regarding appropriate physical proximity during conversations; 10) a pragmatic communication goal regarding various behaviors that may be demonstrated in a group setting; 11) a pragmatic communication goal regarding identifying feelings and responding appropriately; 12) a pragmatic communication goal involving appropriate comments and ability to switch topics; and 13) a pragmatic communication goal regarding identifying emotions among peers without cues or prompts. 81. During the hearing, Mr. Roberson discussed the reasons why there were no baselines for the pragmatic communication goals. Mr. Roberson is a speech-language pathologist. He received his bachelor’s degree in 1995 and his master’s degree in communicative disorders with a speech-language emphasis in 1997. He has worked as a speech-language pathologist for the District for approximately three years. 82. Mr. Roberson reviewed Ms. Pliha’s reports, helped draft the speech-language goals for the May and June 2011 IEP meetings, and participated in the meetings. He also conducted an observation of Student’s one-to-one educational sessions at PSLC. He explained that much of the information underlying the goals came from Ms. Pliha. 83. Mr. Roberson explained that he was unable to obtain enough information to develop baselines from Ms. Pliha. Baselines are very specific. He said that Ms. Pliha’s assessment report gave him general areas of need, but did not give specific information related to pragmatics. He asked Ms. Pliha about baselines during the meeting, but she was unable to give him the required information. She said she would have to look specifically at a goal in her environment to prepare a baseline. 84. Ms. Pliha’s testimony supported Mr. Roberson’s statements. She recalled discussing the proposed goals and providing input during the meeting. She said that baselines are very specific and she did not have sufficient data to fill in baselines for the pragmatic communication goals as of the IEP meeting. She felt the goals addressed areas of need for Student and generally were appropriate goals for him. However, she felt that goals were derived from baselines; one cannot have a proper goal without a baseline for that goal. 85. Mr. Roberson testified that it is possible to create a goal in an area of need for a pupil without having the quantitative data necessary for a baseline. In his opinion, it is permissible to develop a goal and then gather more data for a baseline. He explained that the District proposed a 30-day review IEP to be held after Student started in the District’s program. Part of the reason for that review was to see how Student was performing on the goals. The District would be able to modify goals, if necessary, at that time. [Program specialist] asked about [Student’s] reported anxiety. Guardian stated that Pliha knows how to handle [Student] and his anxiety. Guardian stated that [Student] takes deep breaths and is also on medication for the anxiety. Pliha stated that [Student] has anxiety when he is learning. Guardian stated that [Student] knows why he had difficulty about learning, and knows that he has autism. Reportedly [Student] puts a lot of pressure on himself. 87. Dr. Keller testified that when he tested Student he noticed that Student was intense about wanting to perform well, but Dr. Keller would not characterize that conduct as anxiety. Student’s Guardian and Ms. Pliha both told the IEP team that Student suffered from anxiety, and Dr. Keller testified that he had no reason to doubt their words. In particular, Ms. Pliha had expressed a concern during the meeting about Student’s anxiety level when dealing with large groups of people. 88. Dr. Keller explained that the District proposed counseling services to assist Student with the transition from the one-to-one environment to a small classroom environment. However, in his opinion, the District could not propose an anxiety goal at that time, because Student had only been in a one-to-one setting, so the District did not have an opportunity to determine how his anxiety might impact his education in a different setting. 89. When asked why the District had not offered to assess Student in the area of anxiety, Dr. Keller testified that Student has high functioning autism and a lot of his behaviors could be attributed to that eligibility category. Based on Student’s history and the information the District possessed at the time of the meeting, the District team members did not believe anxiety was a significant area of need for Student as of the June 2011 IEP meeting. 90. Mr. Ball agreed that Student did not need an IEP goal for anxiety based on what the District IEP team members knew as of the June 2011 IEP meeting. He explained that Ms. Pliha indicated she knew how to handle Student’s anxiety. 15 During the hearing, there was some indication that Student may have been able to earn some high school credit from PSLC in connection with his attendance at a parochial school. However, that involved events after the June 2011 IEP meeting and was not part of the information available to the IEP team as of June 23, 2011. 92. The team discussed the possibility of a general education class for Student but various team members raised concerns. Student’s Guardian told the team that a large, comprehensive high school campus would be difficult for Student. Ms. Pliha also felt that Student needed to be educated in a small classroom environment. She did not think Student could be successful academically in a high school general education class with more than 30 pupils, even if Student was given accommodations. 93. Ms. Pliha told the IEP team that Student should be placed in a small classroom with special education support and typical peers for modeling. During her testimony, she explained that a small classroom was necessary for him because of his continuing anxiety, distractibility and attention problems. She described Student as a “smart kid” who was capable of learning. He had been educated in a restrictive environment, so the natural progression would be an environment with few distractions that would provide interactions with peers, including nondisabled peers. She believed that Student could benefit socially from learning how nondisabled peers interact. At the time of the June 2011 IEP meeting, she believed Student was capable of attaining a high school diploma. 94. The team discussed a mild-moderate special education setting with typical peers. The high school “inclusion classes” contained both mild-moderate special-education students and typically developing students. However, the inclusion classes contained large numbers of pupils, just as the general education classes did. 95. The District ultimately recommended a placement for Student at Buena Park, the same placement it had offered the prior year. 16 Buena Park teaches special education children of high school age in the mild-moderate and moderate-severe special education categories. High school students can earn credit there toward a high school diploma and they can take the CAHSEE. There were no typically developing peers of Student’s age attending Buena Park as of June 2011. There were 10 to 12 pupils per class in the high school program. Most of the pupils had an educational classification of autism. 16 In some of the hearing testimony and exhibits, Buena Park was referred to as SLDC. At the ALJ’s request, it was called Buena Park during most of the testimony to avoid confusion with RLC and PSLC. 96. 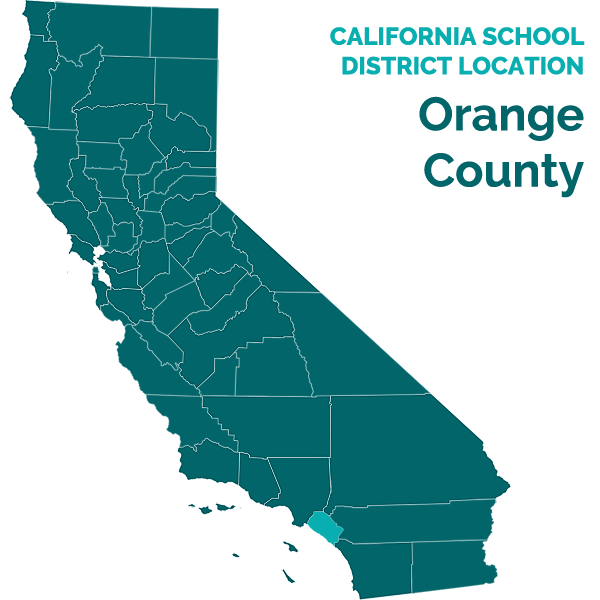 During the hearing, Dawn O’Connor, the chief executive officer of Buena Park, described the classroom that was proposed for Student by the District. In terms of curriculum, Ms. O’Connor described the class as a “grad-track” class. The class contained pupils who were working toward a high school diploma, and Student could have earned credits toward a high school diploma in that class. The classroom instruction was based on the California state standards and utilized textbooks from the Anaheim Unified School District. In addition, each pupil’s education was tailored to meet the high school graduation requirements from the pupil’s home school district. 97. In June 2011, there were nine pupils in the class recommended for Student, one classroom teacher and five instructional aides. In addition to the mild-moderate special education pupils, there were also one or more moderate to severely disabled pupils in the classroom. According to Ms. O’Connor, the state certification is for moderate-severe pupils, because that is required for autism. 98. The pupils who attended Buena Park in June 2011 participated in PE classes, and there was a teacher credentialed to teach both general education PE and APE. The pupils in the grad-track class participated in the same types of team sports as other high school pupils, such as basketball and baseball. However, because there were so few pupils in the grad-track program, Buena Park adult staff members filled in the teams, when necessary. 99. Buena Park had three certified school counselors on staff, as well as speechlanguage pathologists, occupational therapists, and APE teachers. The school used researched based methodologies, such as the “Language!” program for English-language arts. Buena Park also permitted pupils to have a dual enrollment, in which a pupil could attend a general education high school class at a school district for part of the day and attend Buena Park for the rest of the day. The school provided transcripts for grades, and had a transition program with job coaching and opportunities for pupils to gain experience in the workplace. The grad-track class participated in community outings related to the pupils’ studies. The school also had a computer lab and opportunities for social skills training. 100. Student’s Guardian viewed the proposed placement at Buena Park in 2010, in connection with the District’s 2010 IEP offer, and in 2011, in connection with the offer at issue in the instant case. She did not approve of that placement for Student. She felt the pupils in the class were lower functioning than Student. Based on her visits to Buena Park, she believed that the school employed a modified curriculum for the pupils, did not use general education textbooks, and did not offer team sports. Student’s Guardian also objected to the placement because there were no typically developing peers of Student’s age at the site. She testified that the Buena Park staff told her that, if Student did not need a modified curriculum, his education would be like independent study, because the other pupils had a modified curriculum. She also testified that she saw a pupil in the class wearing a helmet and observed a pupil having a melt-down. Ms. O’Connor denied that there was a pupil in the class who wore a helmet, and suggested Student’s Guardian might have observed a pupil wearing headphones instead. 101. Student’s Guardian also testified that she took Student with her to view the Buena Park classroom. According to her testimony, Student told her that it was not the right placement for him and he was insulted that she brought him there. She believed that the behavioral problems of the other pupils in class would increase Student’s anxiety. She also testified that, until the day of the hearing, she was not aware that Buena Park could offer a partial day program, with part of the day spent in general education at a District school. She testified that, with appropriate accommodations and supports, she believed Student could be in a general education classroom for part of his school day as of June 2011. 102. During the June 2011 IEP meeting, Student’s advocate asked if Buena Park was the only possible NPS. Mr. Ball told the IEP team that he did not know of any other appropriate NPS’s for Student besides Buena Park. Student’s Guardian testified that she did not have any knowledge of other NPS locations that might work at the time of the meeting. Student’s advocate did not propose any other possible NPS placements for Student during the meeting. 103. Ms. Pliha also expressed concerns during the hearing about the Buena Park placement. She had viewed the Buena Park classroom with Student’s Guardian in 2010. She believed that the class she saw was a moderate-severe class, not a mild-moderate class. She was also concerned about the lack of typical peers in the class. In her opinion, whether an SDC class would be appropriate for Student depended on the level of instruction and the types of pupils in the class. 104. During the hearing, Dr. Keller and Mr. Pedraza confirmed that they were not aware of any NPS placement at a high school level with a small class size and typical peers that would meet Student’s educational needs. There was no evidence that Ms. Pliha or anyone else at the IEP meeting proposed or even mentioned an NPS that would meet Ms. Pliha’s specifications. Mr. Ball testified that, based on the information he had at the time, he did not know of an NPS that would meet Student’s needs as well as Buena Park. However, he testified that if another NPS had been proposed, the District would have considered it. 105. The District’s witnesses testified that Buena Park was an appropriate placement for Student. Based on what the IEP team knew at the time of the meeting, Dr. Keller believed Buena Park would be an appropriate placement for Student. In forming his opinion, he considered the concerns raised by the Guardian and Ms. Pliha about Student’s anxiety and inability to function in a large classroom setting. He also took into account the very restrictive placement that Student had been attending for several years. He felt that a placement at Buena Park would address those concerns and still provide Student with an opportunity to earn high school credits toward a diploma. The placement would also provide Student with an opportunity to earn general education PE credit and to participate in social activities. He pointed out that the issue of placement could have been revisited during a 30day IEP review that the District typically holds when changing a pupil’s placement. 17 According to the discussion by counsel during the hearing, Student’s Guardian ultimately agreed to the OT services, as long as they were provided by Ms. Fleck’s company, not Buena Park. Although the parties were unable to agree upon language for a stipulation regarding OT services during the hearing, Student did not challenge those services in Student’s written closing argument. 107. The IEP also called for Student to receive extended school year services at Buena Park, of the same type as the general school year services, but at a slightly reduced amount for some of the specialized instruction and services. 108. The 2011 IEP did not contain an accommodation/modifications page. The notes of the IEP meeting commented: “Pliha stated that currently [Student] does not need accommodations/modifications in his current educational environment.” A comparison of the 2009 and 2011 IEP’s indicates that the accommodations/modifications page is part of the District’s standard IEP form. The District witnesses, during their testimony, were surprised to find the page missing, but admitted it was not included in the written June 2011 IEP. 109. The IEP called for a follow-up review meeting to be held 30 days after Student started in the District’s proposed program. Mr. Ball explained that Student had not been in a school setting for a long time, so the purpose was to review the entire IEP and make certain that it remained appropriate for Student in the new setting. 110. The June 2011 proposed IEP contained a transition plan for Student. Baldwin Pedraza, a program specialist for the District, prepared the transition plan and attended both the May and June 2011 IEP meetings. 111. Mr. Pedraza has taught as a special education teacher in both a District inclusion class and in an SDC. In preparation for the IEP meeting, he met with Student at PSLC and gave him a vocational assessment. He interviewed Student and administered the Career Occupation Preference System (COPS), a career planning inventory, to get an idea of Student’s strengths and interests. Based on the results of the assessment and interview, he developed a transition plan which included goals for Student for education, employment and independent living skills. 112. A draft transition plan was prepared for the May 2011 IEP meeting. Between the May and June 2011 meetings, Mr. Pedraza made some changes to the plan based on new information that he had learned during or after the May meeting. For example, by the June 2011 meeting, the plan had been changed to reflect that Student was on a diploma track. 113. The IEP team discussed the transition plan at the June 2011 meeting. Student had been invited to the May and June IEP meetings, but did not attend, so he was unable to give his input during the meetings. However, Student’s Guardian and advocate participated in the discussion, asked questions about the plan and provided input. 114. The transition plan contained post-secondary goals calling for Student to enroll at a junior college, work at an entry-level job through a sheltered work program, and transport himself independently to his job and/or school. Each of the goals described a plan of action for attaining the goal, such as linking Student with the local regional center and/or a workability program. The plan discussed Student’s aptitudes and interests based on Mr. Pedraza’s assessment. Each of the post-secondary goals was linked to the corresponding annual goals in Student’s IEP that would help him develop the skills to achieve the postsecondary goals. 1. The party filing a due process case has the burden of proof. (Schaffer v. Weast (2005) 546 U.S. 49 [126 S.Ct. 528].) In the instant case, Student has the burden of proof with respect to his issues (the June 2009 IEP and the 2009-2010 school year), and the District has the burden of proof with respect to its issue (the May/June 2011 IEP). Did the District Deny Student a FAPE at the June 18, 2009 IEP Meeting by Failing to Have Appropriate Credentialed Staff in Attendance at the Meeting and Failing to Allow Meaningful Participation by Student’s Guardian at the Meeting? 8. In Student’s due process request, Student alleged that Ms. Peterson and Ms. Morgan did not possess proper credentials, training or qualifications to work with pupils whose primary disability is autism. In Student’s written closing argument Student ignored that issue and instead attempted to reframe the issue as follows “the district failed to have required participants at the IEP meeting.” As set forth above in Factual Finding 11, Ms. Peterson and Ms. Morgan were appropriately credentialed and trained to work with autistic children. Student raised no evidence or legal arguments to refute their testimony. Student failed to meet his burden of showing that the District did not have appropriately credentialed staff at the IEP meeting. 9. In Student’s written closing argument, Student contends that the District denied Student a FAPE by failing to have representatives from RLC at the June 18, 2009 meeting and failing to have a general education teacher present for the entire meeting. However, as discussed on pages 7–8 above, the lack of cooperation by RLC was already decided in prior litigation. There was no denial of FAPE by the District based on any failure to have RLC at the meeting. 10. With respect to Student’s arguments regarding the general education teacher, that issue was not alleged in Student’s due process request. Student alleged the failure to have RLC at the meeting in Student’s due process request, but made no mention of any issues regarding the general education teacher. Student’s attempt to reframe or amend the issue in Student’s written closing argument is not appropriate. Student failed to put the District on notice regarding this issue, and it would be a denial of due process to the District to consider the issue in this Decision. 14. As stated in Factual Findings 4–14 above, the evidence at hearing showed there was no failure to allow parental participation in the instant case at the June 18, 2009 IEP meeting. To the contrary, Student’s Guardian and Student’s attorney were active participants at all stages of the meeting. Student’s Guardian and the attorney asked questions, made comments, made suggestions and asked for clarification throughout the meeting. The District IEP team members were responsive to those questions and considered the comments and suggestions. At no point was the District’s offer presented as a “take it or leave it” proposition. 15. During the hearing, Student made much of the fact that the District presented its offer of placement prior to a holding discussion regarding placement. However, as set forth in Factual Findings 12–14 above, the District IEP team members anticipated that a discussion regarding placement would follow the District’s initial proposal. Student cites to no authority which forbids a school district from making a proposal and then discussing it as a team. In the instant case, it was Student who chose to foreclose the discussion, despite having an opportunity to participate. Instead of discussing placement, Student counsel chose to spend the time questioning District staff about who made the placement decision and objecting to the lack of discussion about placement. 16. Student failed to meet his burden to show that the District denied Student’s Guardian meaningful participation in the IEP process. There was no denial of FAPE. Did the District Deny Student a FAPE in the IEP of June 2009 by Failing to Create Goals in All Areas of Identified Need? 18. Student contends that the District denied Student a FAPE by failing to include proper present levels of performance and baselines for the goals in Student’s June 18, 2009 IEP and because some of the goals were written for less than a year. Student also contends that the District should have included a goal related to anxiety in the IEP. 19. To the extent that the District lacked updated information to prepare present levels of performance and baselines for goals, the District’s defense has already been adjudicated in the prior litigation. As stated above on pages 3–9, the settlement agreement regarding assessments permitted only two additional assessments by the District. Having agreed to only those assessments, Student cannot complain if the District IEP team members based the proposed IEP on the assessment information available at the time of the meeting. Likewise, the prior litigation established the District’s defense for its failure to have RLC at the meeting. As established in Factual Finding 26 above, any goals that appear to have been drafted for less than a year are also the result of the delays in the IEP process. The District witnesses testified that they had tried to hold IEP meetings earlier than June 2009, which is why some of the goals were drafted for earlier dates than June 2010. 20. As established above in Factual Findings 15–26, the District IEP team members understood that they did not have updated information and therefore proposed to revisit Student’s IEP after Student had been in the District’s program for 30 days. In light of the background of this case, including the prior litigation between the parties and the settlement agreement, the District’s offer of a 30-day review IEP was an acceptable solution to the lack of updated information. Student had been in an extremely restrictive one-to-one placement for approximately two years prior to the June 2009 IEP meeting. It made sense to revisit his needs and update his levels of performance once he had been placed in a less restrictive setting. Likewise, any problem with the ending date for the goals could have been corrected at that time. 21. As stated in Legal Conclusion 6 above, an IEP is reviewed in light of the information possessed by the District at the time the offer was made. In the instant case, the District drafted its IEP based on the information it had available. Any failure to have updated information at the IEP team meeting was not caused by any fault of the District. There was no procedural violation by the District and no denial of FAPE. 22. Student also contends that the District should have included a goal related to anxiety in the proposed IEP. As stated above in Factual Findings 27–31, the evidence established that Student suffers from some amount of anxiety. However, it is less clear whether that anxiety required an IEP goal as of June 2009. Student’s expert witness Ms. Pliha admitted that she was not qualified to develop an anxiety goal for Student. Ms. Pliha dealt with Student’s anxiety using common sense techniques. While Ms. Van testified that her testing indicated a need for an anxiety goal, it is not clear whether she believed such a goal was required given all the information possessed by the IEP team at the time of the June 2009 meeting. 23. Even if there had been a procedural violation by the District based on failure to develop an IEP goal related to anxiety, there was no evidence that the procedural violation gave rise to a substantive denial of FAPE. Student had not needed such a goal in his RLC placement. If Student’s anxiety had interfered with his education in the District’s proposed placement, a goal could have been added during the 30-day review IEP. Any failure to include such a goal in the June 2009 IEP did not impede Student’s right to a FAPE, cause a deprivation of educational benefits, or impede the opportunity of Student’s Guardian to participate in the decision-making process regarding Student’s education. Did the District Deny Student a FAPE between June 2009 and June 2010 by Failing to Assess in All Areas of Suspected Disability? 25. As stated above in the discussion regarding collateral estoppel on pages 3–9, any issues regarding failure to assess at the time of the June 18, 2009 IEP meeting were already decided in the prior litigation and settlement agreement between the parties. 26. Student raised no evidence of changed circumstances requiring additional assessments after June 2009. To the contrary, as stated above in Factual Findings 42–49, when the District asked Student’s Guardian to provide additional releases in December 2009 so the District could obtain updated information about Student, she refused to provide consent, claiming it was not yet time for the next IEP meeting. Apparently Student’s Guardian did not believe the District required more information as of that time or she would have signed the releases. Student failed to meet his burden of showing a denial of FAPE by the District related to assessments. Did the District Deny Student a FAPE between June 2009 and June 2010 by Failing to Respond to Student’s Guardian’s Requests for IEE’s in the Areas of Speech and Language, Psychoeducation, and Central Auditory Processing Disorder? 28. As stated above in Factual Finding 44, Student’s Guardian made a written request for IEE’s as part of her written dissent to the June 18, 2009 IEP. There was no evidence that the District ever responded to that request. 29. Under other circumstances the District’s failure to respond might constitute a procedural violation of special education law. However, at the time the request was made, these parties had just engaged in litigation and entered into a settlement agreement over the issue of assessments, including Student’s demand for new assessments by the District. Any issue regarding the appropriateness of the District’s psychoeducational assessment was clearly part of that litigation and settlement. There was no need for the District to provide an IEE and no need for the District to respond to that request. 30. Likewise, any objection to the auditory screening or portions of the speech and language assessment conducted as a result of the settlement agreement was precluded by the agreement. Having agreed to permit the District to conduct only an auditory screening and the remaining portions of the speech-language assessment, Student was in no position to object that only an auditory screening was done or to object to the speech-language assessment as being inadequate. 31. However, even if there was a procedural violation, there was no substantive denial of FAPE. Student made no showing of any harm that resulted from the District’s failure to respond to the request. Student’s Guardian was represented by counsel in 2009, and even filed a due process hearing request against the District in April 2010, but did not file for due process on the issue of the IEE’s at that time. Instead, Student waited two years to challenge the District’s failure to respond, until after an intervening IEP meeting was held and additional testing conducted. There was no evidence that the District’s failure to respond to the June 2009 IEE request impeded Student’s right to a FAPE, caused a deprivation of educational benefits, or denied Student’s Guardian the ability to participate in the IEP process. There was no denial of FAPE. Did the District’s Offer of Placement and Services in the June 2009 IEP Deny Student a FAPE for the Extended School Year (ESY) 2009 and the 2009/2010 School Year Because It Was Not Based on an Appropriate Assessment or Other Current Information and Because the Offered Placement Was Inappropriate? 32. As stated in Factual Findings 1–50, Legal Conclusions 17–26, and the collateral estoppel discussion on pages 3–9 above, any lack of current assessment or other information at the June 2009 IEP meeting was not caused by any fault of the District. The District’s defense regarding lack of cooperation by Student’s Guardian and RLC was litigated and determined in the prior action. The District made an offer of FAPE in 2009 in accordance with the information the District possessed at the time of the IEP meeting. Student presented no evidence at hearing to show that Student would be unable to gain educational benefit from the District’s proposed placement and services. 33. Instead, in his written closing argument, Student focused on the issue of whether the placement proposed by the District would be the least restrictive environment appropriate for Student. 35. In light of this preference for the LRE, and in order to determine whether a child can be placed in a general education setting, the Ninth Circuit Court of Appeals, in Sacramento City Unified Sch. District v. Rachel H. (1994) 14 F.3d 1398, 1404, adopted a balancing test that requires consideration of four factors: (1) the educational benefits of placement full-time in a regular class; (2) the non-academic benefits of such placement; (3) the effect the student would have on the teacher and children in the regular class; and (4) the costs of mainstreaming the student. 36. Considering the four Rachel H. factors in light of the evidence presented in Factual Findings 32–41 above, Student has failed to show that the District’s proposed placement was not the LRE appropriate for Student. Student presented no evidence at the hearing that Student would have received academic benefit if placed in a general education classroom in June 2009. To the contrary, Student’s expert Ms. Pliha testified that Student would not have gained academic benefit in a large general education classroom in June 2009. In fact, at the time of the June 2009 IEP team meeting, Ms. Pliha believed that Student needed a one-to-one educational setting in order to gain academic benefit. 37. It was unclear whether Student would have gained non-academic benefit if he was placed in a large, general education classroom. Student had been educated in a one-toone setting for approximately two years prior to the June 2009 IEP team meeting, and it was reported that he suffered from anxiety. The District’s proposed SDC class, with educational supports and opportunities for mainstreaming in PE and non-academic activities, seemed to be a logical way to transition Student back into a school placement. Even Ms. Pliha agreed that Student might be mainstreamed for non-academic classes such as PE. 38. As for the third Rachel H. factor, there was no evidence that Student would have disrupted a general education classroom. Likewise, there was no evidence that the cost of mainstreaming Student would have been prohibitive. 39. Under these circumstances, the first factor of the Rachel H. test seems critical. Given the information the District possessed at the time of the June 2009 IEP meeting, in particular Ms. Pliha’s belief that Student could not learn outside of a one-to-one setting and the fact that Student had been educated in a highly restrictive setting for two years, it was appropriate for the District to conclude that the LRE appropriate to meet Student’s needs as of June 18, 2009 was an SDC setting, with mainstream opportunities in PE and nonacademic activities. That environment was less restrictive than the one proposed by Student’s expert, and would allow Student to transition back into a classroom. 40. Student failed to meet his burden to show that the June 2009 IEP was not reasonably calculated to provide Student with meaningful educational benefit in the LRE appropriate to meet Student’s needs. There was no denial of FAPE. Did the District’s Proposed IEP of May 5, 2011, and June 23, 2011, Offer Student a FAPE in the LRE? 41. When a school district files a due process hearing request seeking a decision regarding a proposed IEP, the district has the burden to prove that the proposed IEP and the process used to develop that IEP met the procedural and substantive requirements of special education law. However, because there are dozens (perhaps hundreds) of procedural requirements that a district must follow in conducting the IEP process, it would be difficult to address each one of them in a written decision. Therefore, this Decision will focus on those procedural areas which Student raised as challenges to the appropriateness of the District’s IEP. To the extent that any other procedural issues are relevant to the instant case, the District presented evidence sufficient to show that the District’s IEP met the requirements of the law. For example, the District presented evidence that the necessary individuals attended the IEP meetings in issue. Even though this Decision will focus on Student’s contentions, the burden of proof remains with the District to show that it met the requirements of the law in each of the areas raised by Student. 42. Student contends that the District’s 2011 IEP was not appropriate because the District failed to assess Student in the area of anxiety and create an IEP goal to address Student’s anxiety. 43. As set forth in Factual Findings 86–90 above, Student suffered from some amount of anxiety at the time of the June 2011 IEP meeting. Ms. Pliha, who had worked one-to-one with Student for several years prior to the June 2011 IEP meetings, reported that he had anxiety and she had to take steps to address his anxiety in working with him. However, Ms. Pliha is not a mental health professional, and she admitted during the hearing that it was not within her area of expertise to draft a goal related to anxiety. Likewise, there was no evidence that Student’s Guardian is a licensed mental health professional. 44. Dr. Keller, on the other hand, is a school psychologist and licensed educational psychologist who is qualified to assess and make recommendations with respect to a pupil’s anxiety. As set forth in Factual Findings 86–90, Dr. Keller did not believe that Student’s anxiety was a significant area of need for Student as of June 2011 which would require an assessment or an IEP goal. Although he did not question Ms. Pliha’s and Student’s Guardian’s opinions that Student suffered from some measure of anxiety, when Dr. Keller assessed Student he did not notice anxiety. 45. Dr. Keller’s opinion was supported by other evidence during the hearing. For example, as set forth in Factual Findings 28–29, Ms. Pliha addressed Student’s anxiety using common sense techniques. She did not opine that he needed an assessment or an IEP goal in that area. Even on days where she described him as quite anxious, she was still able to address his anxiety using common sense techniques. Based on Ms. Pliha’s testimony, it appeared that Student’s anxiety centered around his desire to do well on his academics. There was also an indication that he might suffer anxiety in a large group setting. 46. The District’s proposed IEP addressed Student’s social/emotional needs through counseling to help with this transition back to a school environment and by placing him in a small, NPS setting. In addition, the District proposed a 30-day review IEP to see how Student acclimated to his new environment. Dr. Keller testified that the District could not propose an anxiety goal for Student’s IEP until the District saw how he functioned outside the one-to-one setting. Mr. Ball agreed that, based on what the IEP team knew as of June 2011, there was no need to create a goal related to anxiety for Student. 47. The opinions of Dr. Keller and Mr. Ball are persuasive in this matter. Student had never attended a high school class and had been educated solely in a one-to-one setting for the four years prior to the June 2011 IEP meeting. He had not needed either an assessment or goal for anxiety in his one-to-one educational setting. Until the IEP team could see how he functioned a different educational setting, it would be difficult to know to what extent anxiety would impact his education. There was no denial of FAPE based on the District’s failure to assess Student in the area of anxiety or create an IEP goal in the area of anxiety in 2011. 48. Student next contends that the District’s IEP goals were inadequate because the pragmatic communication goals did not have baselines. As set forth in Factual Findings 53–85 above, the District staff attempted to obtain information regarding baselines for these goals, but Ms. Pliha was unable to provide specific information. Both Ms. Pliha and Mr. Roberson believed the goals were generally appropriate and addressed areas of need for Student. Mr. Roberson stated that it was his intent to gather data for baselines prior to the 30-day review IEP. Given that several of these goals involved Student’s conduct while engaged with peers, Mr. Roberson’s intentions made sense – until Student was in a school environment with peers, it would be difficult to set a baseline regarding conduct in a school environment with peers. 49. Although a goal generally requires a baseline, under these highly unusual circumstances in which a pupil was kept out of a classroom environment for approximately four years, there was no denial of FAPE based on the failure to include baselines for these pragmatic communication goals. However, even if there had been a procedural violation, the District’s offer to revisit these goals as part of the 30-day review IEP would have prevented any substantive denial of FAPE or deprivation of educational benefits. 50. Student’s third contention is that the District violated California Education Code section 56345, subdivision (a)(6), and Title 20 United States Code section 1412(a)(16)(A), by failing to include a section of the IEP related to accommodations and modifications necessary for the pupil to participate in state and district-wide assessments. The District witnesses who testified at hearing admitted that there was no accommodationsmodifications page included in the June 2011 IEP. 51. Student contends that there was no discussion regarding accommodations or modifications during the IEP meeting, but the evidence indicates otherwise. For example, as stated above in Factual Findings 106–109, the IEP notes stated that Ms. Pliha told the team Student did not need accommodations or modifications in his current educational environment. Clearly there was some discussion regarding accommodations/modifications. The District witnesses who testified at hearing seemed surprised that the accommodations page was missing from the IEP. The evidence indicated the District erred by failing to include the page in the written IEP, not by failing to hold a discussion. 52. While the failure to include the page was technically a procedural violation, it could easily have been cured during the 30-day review IEP offered by the District, when either Student’s counsel or the District’s counsel noticed the page was missing. Further, even if the procedural error involved failure to hold the discussion, that failure could also have been cured during the 30-day review IEP – once Student was in a school setting, the team would understand more fully the extent of any needed accommodations or modifications. The failure to include the accommodations/modifications page in the June 2011 IEP did not deprive Student of any educational benefit, deny Student a FAPE or significantly impede his Guardian’s opportunity to participate in the IEP process. There was no denial of FAPE. Is designed within an results-oriented process, that is focused on improving the academic and functional achievement of the individual with exceptional needs to facilitate the movement of the pupil from school to postsecondary activities, including postsecondary education, vocational education, integrated employment, including supported employment, continuing and adult education, adult services, independent living, or community participation. Is based upon the individual needs of the pupil, taking into account the strengths, preferences, and interests of the pupil. Includes instruction, related services, community experiences, the development of employment and other postschool adult living objectives, and, if appropriate, acquisition of daily living skills and provision of a functional vocational evaluation. 55. As set forth in Factual Findings 110–114 above, the District’s June 2011 IEP included a proper transition plan based on an appropriate assessment of Student’s preferences, interests, and needs. Mr. Pedraza interviewed Student and administered a career planning inventory to Student to determine Student’s strengths and interests. The transition plan was drafted for the initial IEP meeting in May 2011 and was revised based upon information learned during or after the meeting. 56. Student objects to the ITP because it did not contain details such as whether Student could cook, balance a checkbook, or wanted to obtain a drivers license. Student also objects to the ITP because it stated a plan to link Student to the local regional center to assist Student without listing specific goals or services to help him gain skills for his post-high school life. 57. There is nothing in the cases cited by Student which requires the specificity Student demands. In Board of Education of Township High School District No. 211 v. Ross (7th Cir. 2007) 486 F.3d 267, the court criticized the educational agency for failing to include any transition plan in the pupil’s IEP, but still found that the procedural violation did not give rise to a substantive denial of FAPE. In Virginia S. v. Department of Education (D. Hawaii 2007) 2007 WL 80814, the court determined that the proposed transition plan was not individualized to the pupil, but found the procedural violation did not give rise to a substantive denial of FAPE. Neither case requires the specificity which Student contends must be in a pupil’s transition plan. 58. It would be very difficult for a school district’s ITP to address every possible skill needed for adulthood with the specificity Student demands. Indeed, if the District’s proposed transition plan had specifically discussed all the skills Student listed in his written closing argument, Student undoubtedly could have raised a dozen other adult-level skills which were not addressed. There was no denial of FAPE. 59. Finally, Student contends that Student’s Guardian was denied meaningful participation in the IEP process. However, as established in Factual Findings 53–114 above, Student’s Guardian had a full opportunity to participate in both the May and June 2011 IEP meetings. There was absolutely no evidence that the District prevented her from participating or presented the District’s IEP offer as a “take-it-or-leave-it” proposition. As stated in Factual Findings 91–105 above, the IEP team considered various educational settings for Student (general education, inclusion class and NPS), and Student’s Guardian had the opportunity to participate in that discussion. 60. The main objection raised by Student to the District’s IEP offer involves the proposed placement. Student contends that Buena Park was not the LRE appropriate to meet Student’s needs. 61. After years of maintaining that Student could only gain academic benefit in a one-to-one setting, Ms. Pliha determined around June 2011 that Student was ready to transition to a classroom setting. However, as discussed in Factual Findings 91–105 above, she still did not believe he was ready for a large, general education classroom. Instead, she wanted him placed in a small classroom with special education support and typical peers. Her concerns about placing him in a large general education class made sense given what she knew at the time. By June 2011, Student was high school age, but had never attended a high school class or received a high school credit. 62. Unfortunately, at the high school level, there was no small District special education class with typical peers. Even the District’s mild-moderate inclusion classes were large classes. Both Ms. Pliha and Student’s Guardian agreed that Student should not be placed in a large classroom setting. 63. Given these factors, and the fact that Student had been in the highly restrictive one-to-one educational setting for approximately four years, the District proposed a small, NPS setting for Student. Buena Park had a diploma program which would enable Student to earn high school credits, peers for him to associate with (although not typical peers), a very small class size with significant adult support, school counselors and other service providers, an opportunity to earn general education credit in PE, and an opportunity to mainstream for part of his day once he could tolerate a large classroom. 64. Although both Student’s Guardian and Ms. Pliha criticized Buena Park, neither proposed an alternative placement to the IEP team, nor did they testify about an alterative placement at hearing. The District witnesses stated that they were unaware of an NPS that would meet Ms. Pliha’s recommendations at the time of the 2011 IEP meeting. Student’s Guardian reported that Student did not like the Buena Park placement, but Student (although he was an adult by the time of the hearing) did not testify, nor did he attend the 2011 IEP meetings, so it is not possible to know the full nature and extent of his objections. 65. Looking at the Rachel H. factors: Ms. Pliha did not believe that Student could gain educational benefit in a high school general education class at the time of the June 2011 IEP meeting, and the District witnesses were concerned about immediately placing Student in such a setting after four years of one-to-one education. From an academic point of view, Buena Park was the least restrictive environment appropriate for Student as of June 2011. 66. From a non-academic point of view, Buena Park was also the least restrictive environment appropriate. Although Student could benefit from contact with typical peers, his anxiety and one-to-one educational background indicated that he might not have benefitted in a large high school classroom without a transition period. Buena Park offered him interaction with disabled peers in much less restrictive setting than the one he had been attending. It would assist with a transition with plenty of adult support to make certain he was successful. If Student was able to tolerate the small setting, Buena Park provided an opportunity for mainstreaming for part of the day. 67. The other two Rachel H. factors weigh in favor of a general education setting. There was no evidence that Student would be disruptive in a general education classroom. Although no evidence was presented regarding costs, it is likely that placement of Student in a general education classroom would cost less than placement at Buena Park. 68. Student argues that the class at Buena Park contained one or more “moderate-severe” special education pupils, so it was not truly a mild-moderate class. Student cites to no evidence or legal authority that the presence of one or more severely disabled pupils in a class makes it a moderate-severe class. Using Student’s logic, the presence of one or more special education pupils in a general education class would make it an SDC. Ms. O’Connor unequivocally testified that there were pupils working toward a high school diploma in the Buena Park class and the class used California state standards in its teaching. 69. Student also objects to the lack of general education PE at Buena Park. As stated above in Factual Finding 98, Buena Park had a general education PE teacher and Student could participate in team sports. Given Student’s unique history – that he had never attended a public high school or participated in any classroom besides one-to-one teaching for four years and the concerns regarding his anxiety in a large group setting – allowing Student to transition to a high school PE environment through Buena Park seemed to be the most appropriate way to meet his needs as of June 2011. There was no denial of FAPE. 70. The District met its burden of proving that the June 2011 IEP was reasonably calculated to provide meaningful educational benefit to Student in the LRE appropriate to meet Student’s needs. There was no denial of FAPE. 1. Student’s claims for relief are dismissed. 2. The District’s proposed May 5, 2011 and June 23, 2011 IEP offered Student a free appropriate public education in the least restrictive environment appropriate to meet Student’s needs. Pursuant to California Education Code section 56507, subdivision (d), the hearing decision must indicate the extent to which each party has prevailed on each issue heard and decided. Here the District prevailed on all issues heard and decided.